S M Ong: 'Ice-cream sandwich' on The Amazing Race: The PCK of Singapore food? 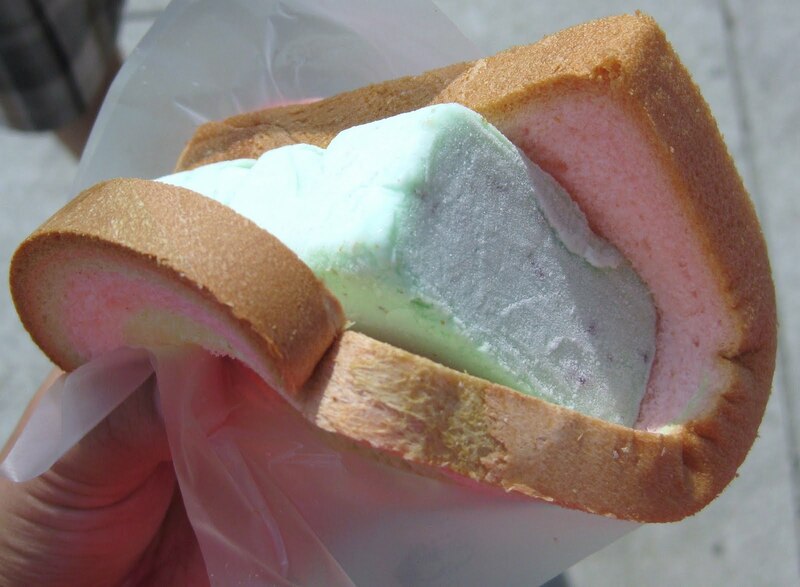 'Ice-cream sandwich' on The Amazing Race: The PCK of Singapore food? 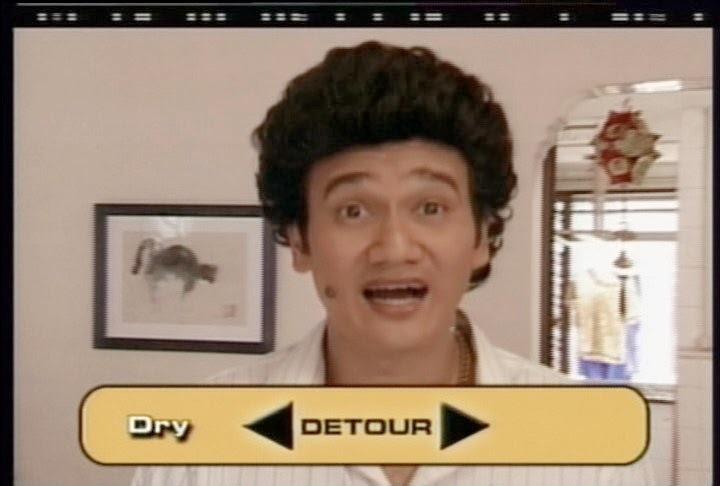 A few years ago when I was putting together the series finale of Phua Chu Kang Pte Ltd, I wanted to include a clip of PCK's appearance in the third season of The Amazing Race. Handing out clues on the Emmy-winning US reality show was undoubtedly one of the major achievements of the fictional contractor played by Gurmit Singh. On the flipside, many Singaporeans didn't think the yellow-booted local icon was exactly the best choice to represent our great nation to discerning TV viewers around the world. We were no longer just the country that outlawed chewing gum and flogged an American citizen - we're also the home of this weird-looking curly-haired guy with a giant mole who speaks something resembling English. Anyway, I e-mailed the rights holder of The Amazing Race to get permission to use the clip on the PCK series finale - for free. I didn't get it. Fast-forward to last week's episode of The Amazing Race which returned to Singapore for the first time since that nefarious 2002 PCK episode. To the relief of many I'm sure, PCK didn't make a return appearance. Instead, we got Allan Wu. Wu looks and speaks better than PCK, but he's no Singapore icon. I don't think he's even Singaporean. Wong Lilin's hubby was most likely chosen because he's the host of The Amazing Race Asia and has fantastic cheekbones. But what really impressed me about the latest episode was the segment involving local food. You know how Singapore likes to promote itself as a food paradise? YourSingapore.com lists the following as Singapore's "signature dishes": fried carrot cake, Hokkien prawn mee, chilli crab, rojak, nasi lemak, nasi padang, ice kachang, kaya toast, fish head curry, chendol, laksa, thosai, char kway teow, otak, bak kut teh, satay, roti prata, ayam buah keluak, teh tarik and Hainanese chicken rice. But did the producers of The Amazing Race select anything from this long list? No, and they didn't even pick durian. They chose the humble $1 "ice-cream sandwich". Host Phil Keoghan described it as "ice-cream sandwiched between wafers or slices of actual bread". Not make-believe bread, mind you, but "actual bread". Can you imagine? We wacky Singaporeans eat ice-cream with "actual bread"! How exotic! Once again, it took foreigners to appreciate what locals have long taken for granted. Step aside, chilli crab. Malaysia can have you. It's time the "ice-cream sandwich" with "actual bread" takes its proper place as a true Singapore icon. PCK must be so jealous. I was in secondary school from 1958 to 1961. One of my tuck shop meal was this three inches bread (in the form of cube) sliced in the middle by the hawker and a sliced of ice-cream (half inch thick) was sandwiched into the cut. My favourite was vanilla with straw berry. Today, most ice-cream bread is just a scoop or two and placed in a slice of bread. The cost then was ten cents, equivalent to the bus fare to school. If we can avoid the bus conductor, then it brings great joy, as we can have two loafs of ice-cream. I believe it has nutritional value and how it was developed could possibly by the ice cream company!